Feb 23, 2012 In: Artists Exhibitions Tags: everyday materials, looking at ourselves, Los Angeles art, Mark Bradford, material, New Orleans, SFMOMA, Sikkema Jenkins, Yerba Buena Center for the Arts By: ArtSource Inc.
It’s both entertaining and eye opening to listen to Mark Bradford talk about his life and work. 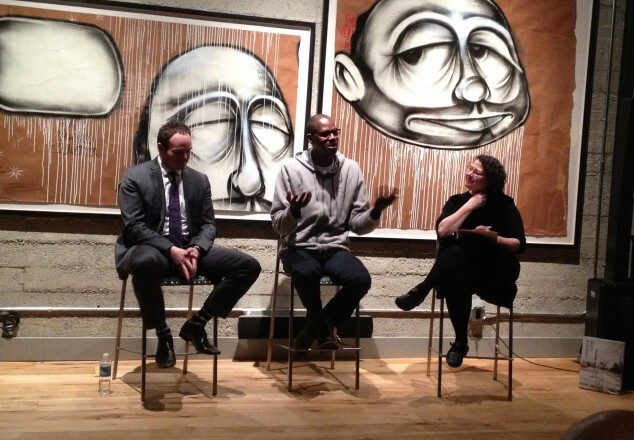 At a small gathering at the home of a San Francisco collector, Mark Bradford talked about this experience as an artist, what shapes his thinking, and how he works. Having grown up in South Central LA, the son of a hair salon owner, at nearly seven feet tall, this MacArthur Genius Award winning artist, is in so many ways, not what society tells us to expect. To experience his work is to understand his voice. 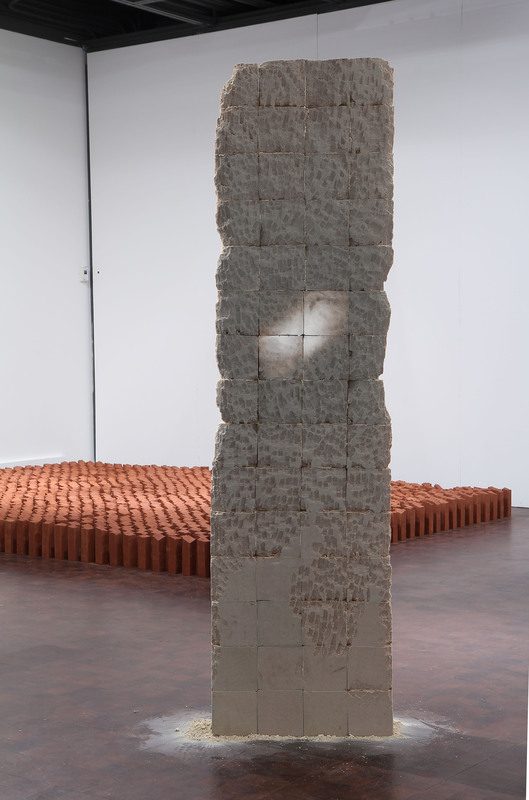 “The memory is in the material“, Bradford said specifically referencing his monumental work, Mithra, 2008, often referred to as The Ark, on view now at Yerba Buena Center for the Arts. 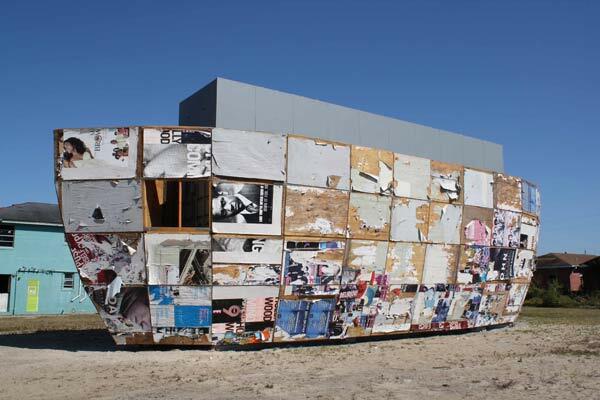 Made from found and rotting plywood covered with layers of posters, fliers and other remnants of destroyed businesses left in the Lower Ninth Ward in the wake of Hurricane Katrina, Bradford’s monumental work has a moving and powerful presence. I highly recommend a visit. You can learn more about Mithra and its origins here at Prospect 1. “My art practice goes back to my childhood, but it’s not an art background. It’s a making background. I’ve always been a creator. My mother was a creator; my grandmother was a creator”. – (Art 21 Politics, Process & Postmodernism. 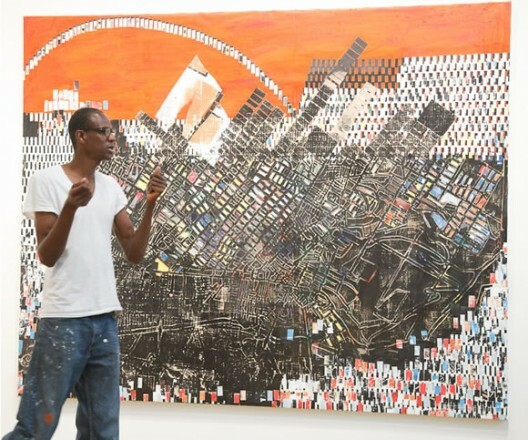 Interview with Mark Bradford). 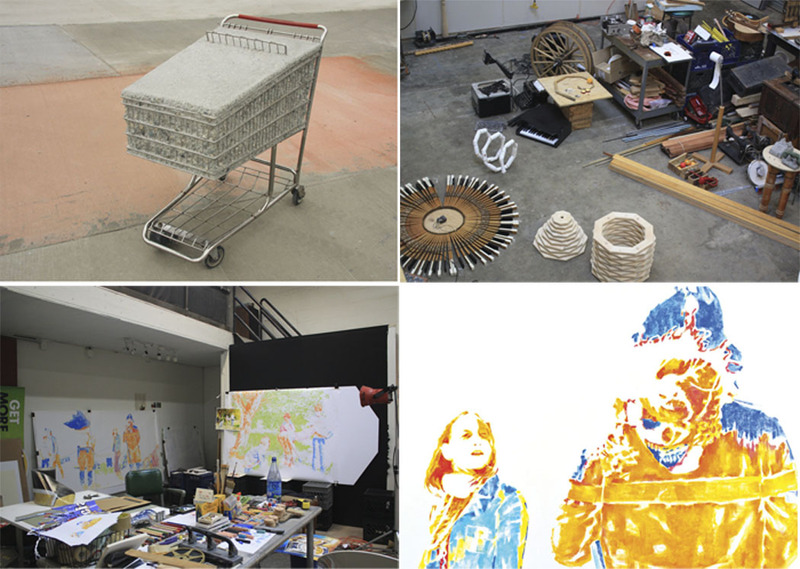 Bradford completed his BFA and MFA at California Institute of the Arts, one of the most conceptual art schools in the country. I asked him about his experience as a student there, and he responded this way… “I just wanted to get out and make something“. And across the street at SFMOMA is Bradford’s first major museum survey – a thought provoking installation of paintings, sculpture, and multi-media work. One of the most compelling for me was the multi-media installation, Pinocchio Is on Fire – as I sat in the room, walls collaged with darkly colored and rhythmically patterned paper, and the soulful voice of Nancy Wilson singing “Telling the Truth”, I felt as if I was at once in Mark Bradford’s brain and inside his painting. 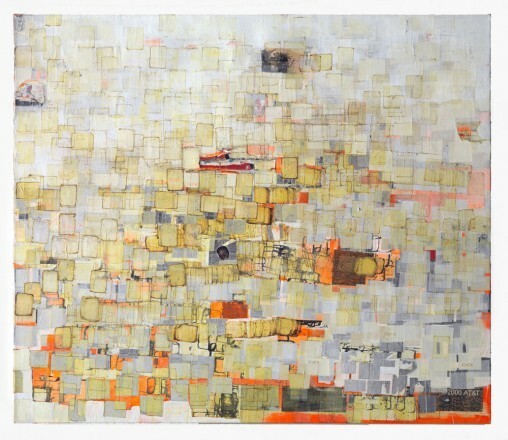 I began to understand Mark Bradford’s truth. No photos, sorry…you have experience it in person. 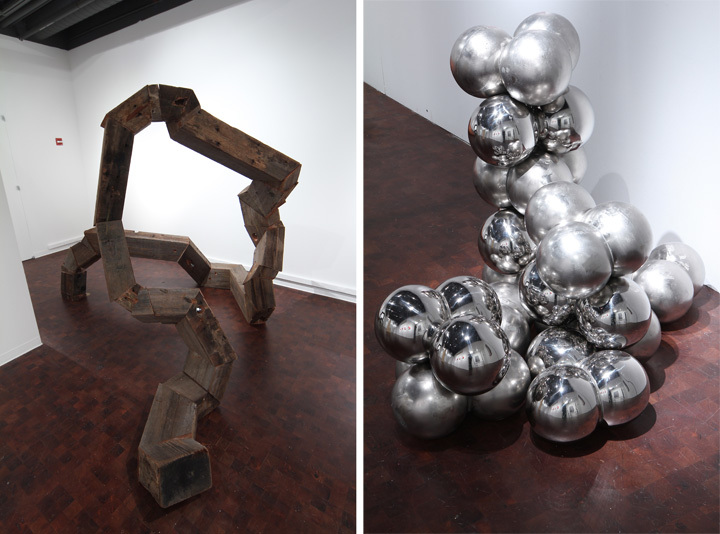 At Artsource, we always talk about how contemporary artists show us a different way of looking at ourselves. Bradford’s unique voice communicates a complex and deeply layered view of our shared culture. This is a show not to miss. Jan 3, 2012 In: To Do List Tags: art education, craft lab, Donna Anderson Kam, everyday materials, Museum of craft and Folk Art, Randy Colosky, Root Division, SF Dump, Terry Berlier By: ArtSource Inc.